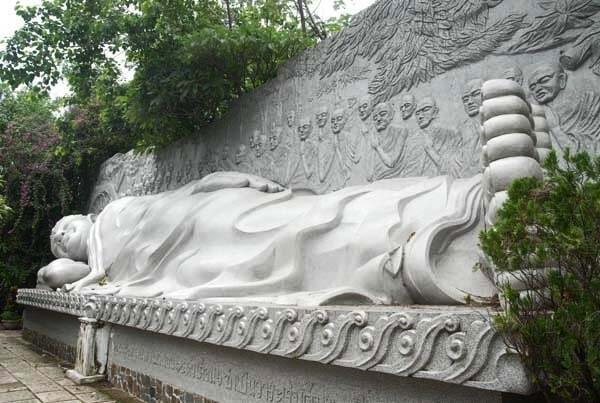 "We had heard about the Long Son Pagoda in Nha Trang but nothing prepared us for the grandeur of this sight. 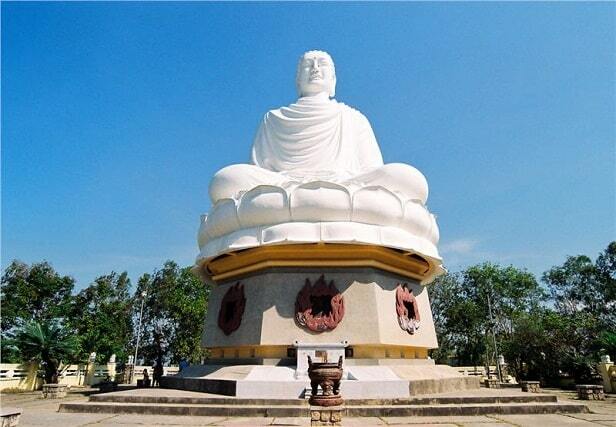 If you are willing to climb the 152 steps up above the Pagoda you will be greeted by the image of the Buddah of Long Son - rising 24 metres in to the air above Nha Trang. Every thing about this Buddah is magnificent and with the base surrounded by 7 of his attendants and guarded over by a pair of fearsome looking dragons it is a breathtaking sight. Take your camera and be prepared for some great photo opportunities." The Long Son Pagoda, also known as Chua Long Son, located at the foot of Trai Thuy Mountain in Nha Trang City. The temple is famous for the big statue of the huge white Buddha, which sits atop the mountain and you can see all over the city. The statue is 24 meters high and sits on a large lotus flower. The statue dates from 1964. The temple was built in 1886 in the style of Taoist architecture. The Long Son Pagoda is home to many high-ranking Buddhist monks and the Vietnam Buddhist Studies Foundation, which was established in 1936 here. In an attempt to build the exact replica of the ancient temple of 1886, the temple underwent many restorations and additions. Sometimes interrupted by war or civil unrest. After a cyclone in 1990 destroyed the temple complex, everything was just rebuilt a little bit further down the mountain. Today, the Long Son Pagoda offers offers a wonderful and unique insight into the Taoist architecture, which is characterized by the beautification of mythical animals and statues of Taoist gods. It is also a monastery, where people work, complete with a school for monks. 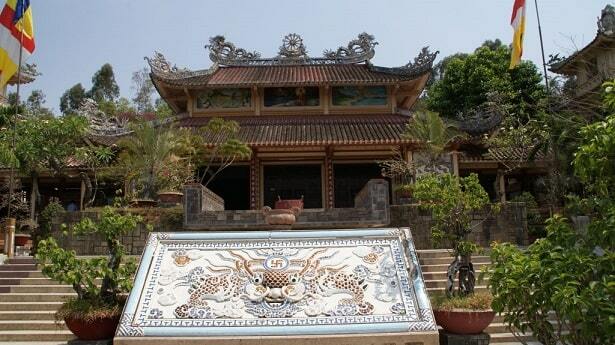 An impressive three-covered entrance, decorated with mosaics of dragons, leads us to the great temple. Behind the temple leads 152 steps counting staircase to the main attraction: the 24-meter high statue White Buddha sitting on a lotus throne. Behind the statue is a large reclining Buddha whose back has a representation in relief of monks and nuns who died in the 1950s, as they protested against the corrupt Diem regime. From the plateau at the bottom of the white Buddha, visitors can enjoy stunning views of Nha Trang and the sea. "I felt guilty enjoying all the beauty of this place knowing this is where monks would set themselves on fire to protest mistreatment of Buddhists by the South Vietnamese government in the 1960's. There are statues to commemorate their sacrifices and it brought tears to my eyes. Do not let me discourage you though, this is a truly beautiful place."